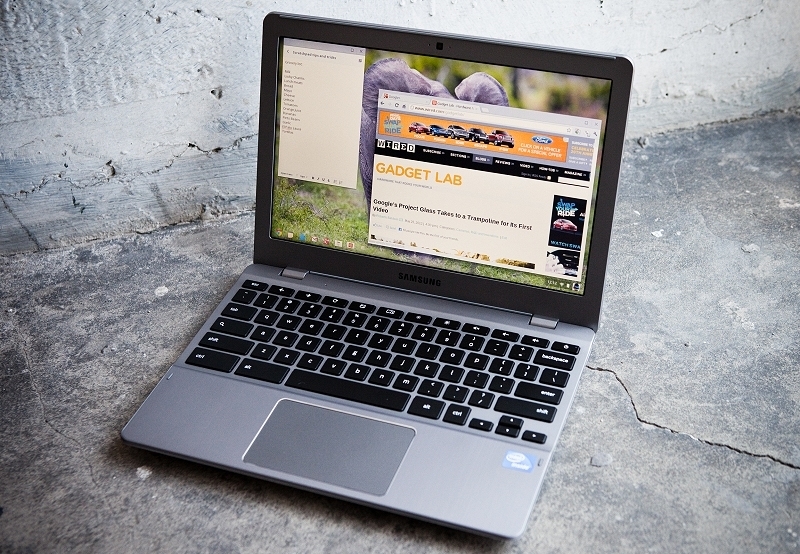 Chromebooks are more popular than ever. The Google-powered portable computers accounted for more than 20 percent of all notebook sales and nearly 10 percent of all computer sales through late last year. And with the recent addition of some serious processing power in the form of fourth generation Intel Core i3 CPUs, select models now have plenty of muscle to get the job done. Their success has got some people worried - namely, Microsoft. After facing declining PC sales due to the sudden popularity of tablets, the Redmond-based company is now having to deal with the Chromebook threat. If you aren't familiar, Chromebooks are basically notebook computers that run Google's Chrome operating system and rely on apps and an Internet connection for most functionality. They're a step above a tablet in terms of productivity and generally carry a low price point. But be warned, they are limited versus a traditional Windows machine which is why Microsoft is looking to get in on the budget notebook craze... again. During a partner conference earlier today, Microsoft revealed that HP is working on a Windows 8 notebook that'll retail for just $200 this holiday season. Furthermore, Acer and Toshiba should have offerings in the $250 range that'll include Intel Celeron processors clocked at 2.16GHz as well as 11.6-inch and 15.6-inch displays, respectively. Or in other words, netbooks are poised to make a comeback. Their lifespan was cut short by the arrival of tablets but with that market now becoming saturated and Chromebook sales what they are, perhaps it makes sense to bring budget Windows machines back once again.